What is important to ethical consumers when thinking about going on holiday and how do they incorporate their lifestyle choices into these holidays? What values inform their lifestyles and how do they satisfy these values on holiday? Do ethical consumers automatically become ethical tourists or is the situation a little more complex than this? This book offers a highly original contribution to the debate surrounding the demand for ethical and responsible holidays. It explores the consumption concerns of ethical consumers and their motivational values, and offers a detailed examination of how they manage these values on holiday. 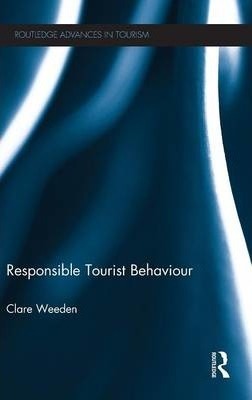 This book offers a new and challenging perspective to the study of responsible tourism by providing a unique empirical insight into how responsible tourists incorporate their norms and values into their holiday decisions. The text will be of interest to undergraduates, postgraduates and tutors on courses that have tourism and the tourist at their centre, and to academics in other disciplines such as marketing and consumer behaviour. It will also be highly relevant to the global tourism industry. Dr. Clare Weeden is a Senior Lecturer in tourism and marketing at the University of Brighton, UK. Her research interests lie in responsible tourist behaviour, ethical consumption, destination marketing and cruise tourism.